Lingonberry is also known as cowberry The name lingonberry originates from its Swedish name lingon. Lingonberry is a low, evergreen shrub that bears red fruit (berry). Lingonberry is native in arctic the Northern Hemisphere from the North Europe, Siberia, North America. The berries contain plentiful organic acids, vitamin C, provitamin A (as beta carotene), B vitamins (B1, B2, B3), and the elements potassium, calcium, magnesium, and phosphorus. Lingonberry seeds are rich in Omega-3 fatty acids and unsaturated fats. In addition to benzoic acid lingonberry contains 30 other phenol compounds including flavones, anthocyanins and polyphenlolics. Thanks to its own preservative (benzoic acid) lingonberries could be kept for months at room temperature simply by placing them in jars of water or by stirring the raw berries with a small amount of sugar (an easy lingonberry jam - no cooking required). The lingonberries collected in the wild are a popular wild fruit in northern, central and eastern Europe. The berries are often cooked and sweetened before eating in the form of lingonberry jam, compote, juice, smoothie or syrup. Lingonberry jam is a staple food in Scandinavian cuisine. A very popular, traditional Swedish meal is meatballs with mashed potato and lingonberry jam. Lingonberry jam can be found in all IKEA superstores worldwide. In addition to the nutrients, lingonberries also contain phytochemicals that are thought to counteract urinary-tract infections. Lingonberry leafs are used in traditional medicine as diuretic. 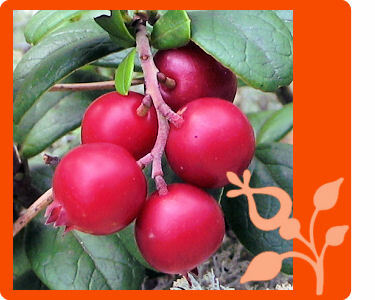 Lingonberry extract is used as source of antioxidants for cosmetic and beauty products. It is also a potential natural preservative (contains benzoic acid) . Lingonberry is economic important as raw material for food industry (beverage base, fruit liquors, jams, etc). Food and Agriculture Organization of the United Nations has recognized lingonberry as important crop under ecocrop code 10719. Arctic berries - an important source of vitamins, antioxidants, essential fatty acids. Berries contain antioxidants having oxygen radical absorbance capacity ORAC that is highest among the fruits. High nutritional values of arctic berries are known for a long time. Arctic berries with high ORAC score are within a new category of functional foods called "superfruits". CONTACT | Copyright (c) 2011 www.arcticberries.se All rights reserved. BASED ON a Design by Free CSS Templates.